The day has come. The weeks of searching and gathering info, credit checks, inspections, and completing paper work finally ended. The last walk through appeared good and the house-hunter is cruising to closing. Days before the fateful date the Buyer and his house-hunting guide receive a HUD-1 to review. HUD is an acronym for the Department of Housing and Urban Development and the HUD-1 is a settling statement used by the closing agent to itemize all of the expenditures for both the Buyer and the Seller. The Real Estate Settlement Procedure Act commonly called RESPA requires this form for all Real Estate transaction involving federal related mortgage loans in the United States. This document has two columns; the first column is for the Buyer and the second is for the Seller. The settlement has several pages, the first shows the amount due by the borrower, including down payment, property taxes, survey fees, as well as other closing costs and it also subtracts earnest money and the option fee from the amount. The total amount the Buyer must bring to the table is on the bottom left hand of the page as well as the proceeds the Seller will make from the sale on the bottom right. The second and third pages are detailed breakdowns of all the expenses for both parties and additional disclosures about title insurance and other miscellanies fees and finally a signature page. Fees are paid with a cashier’s check written to the title company. 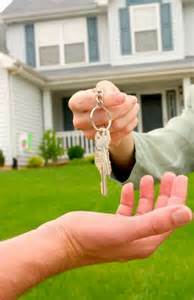 The Buyer must also bring his/her driver’s license to prove whom they say they are when purchasing the home. A copy of all the documents should be stored in a safe location. The survey is a handy document that could come in useful if the Purchaser sells the abode or decides to do an addition. Typically, closings occur at the title company, sometimes closings happen at remote locations such as the Realtor’s brokerage or the house-hunter’s own office or home. Closings also take place when one party is out-of-state, or even out of country. Most title companies can arrange for such closings. This entry was posted on March 14, 2014 by djltx. It was filed under Uncategorized and was tagged with 2014, business, Denton County, home closings, homes, Keller, North Texas, real-estate, Tarrant County. Reblogged this on Boyd and Williams Team Realty.